This Sunday 26th May between 11am - 3pm we've got our regular working bee happening down at the garden with plenty to do, all sorts of things from painting, mulching, edging, weeding, sand-spreading, tidying up and more. 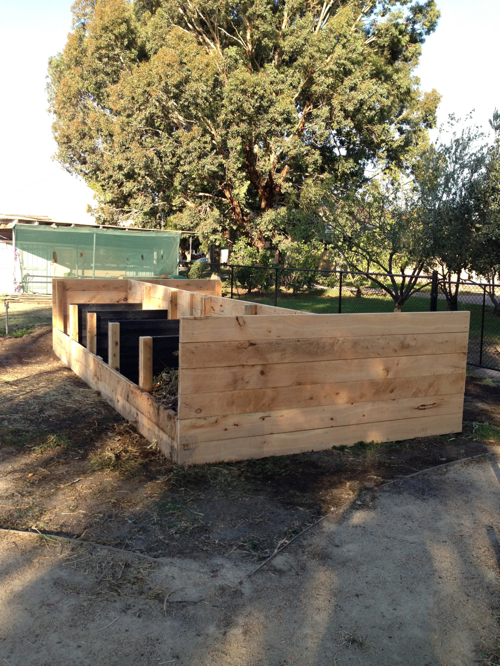 Check out the compost bays built a week back. Lunch is at 1pm - bring something shareable to drink and eat and we'll have a lovely lunch, sitting around on hay bales and catching up on news. We'll have a swap table set up so if you have any fruit, veg, herbs, seeds etc to swap bring them along too. It's a beautiful time of year for being in the garden. See you down there on Sunday!